Grandparents today are taking a larger role in the lives of children than perhaps any other time in recent history. Former Fortune 500 company division president Robert Martin is one such grandparent, and he is doing all he can to share relationship-building tools with other families to positively impact grandparent-grandchild interactions. For Robert though, his mission to make a difference in children’s lives goes even further. He writes books with his granddaughter Keira to inspire hope and raise money and awareness for kids battling terminal illness. This new approach has sparked interest from IBM, The Tisch Brain Tumor Center at Duke University, Memorial Sloan Kettering Cancer Center, Dana-Farber Cancer Institute and The Rockefeller University. “SuperClara – a Young Girl’s Story of Cancer, Bravery and Courage” is the story of a five-year-old girl named Clara who is “super positive and super happy.” When she learns she has brain cancer, she agrees to undergo surgery, radiation and chemotherapy even though she feels afraid. Following radiation treatment, she discovers she has a new superpower: the ability to connect with animals, understand how they are feeling and hear what they are saying to her. They wrote the book for his other granddaughter, Keira’s sister Clara, who like the girl in the story was diagnosed with terminal brain cancer. Clara lost her courageous fight on Oct. 8, 2017. The book is an Amazon #1 bestseller and all profits go directly to the Bridge to a Cure Foundation. Robert and Keira also write mystery stories together (“The Keira & Papa Detective Agency” books). 2. Progress in immunotherapy, genetic sequencing and vaccine technology is encouraging but also frustratingly slow. 3. The National Cancer Institute has spent an estimated $115 billion to research and develop treatments over 45 years. Yet almost 40 percent of us will be diagnosed with cancer at some point during our lives, and of those 36 percent will die within five years. Why does curing cancer continue to elude our best medical minds? Martin founded to Bridge to a Cure Foundationanswer that critical question. 1. The critical need for a robust national database linking all research into the disease. 2. The inability of even the most brilliant scientific minds to digest the millions of pages of research and medical files from which to assess and treat patients. 3. Inadequate collaboration within the scientific community. 4. The slow pace, excessive cost, and massive complexity of clinical trials. 5. Opposition to alternative treatments. “It’s time for academia and government to adapt many of the practices that have made corporate America successful,” he says. 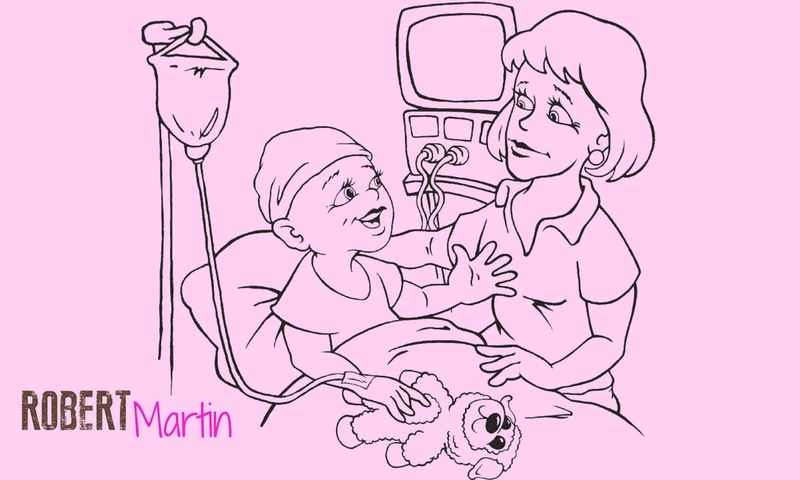 Download a One Pager for Robert Martin. To learn more, visit www.RobertMartinAuthor.com.